On November 23, 2004, the Klamath Community College Board of Education adopted the goal to strengthen its communications and connections to the District. Part of our outreach program is our work with the Klamath Center for Education & Training (KCET). We also provide Community and Workforce Education, as well as support for entrepreneurs and small businesses at the Small Business Development Center. We also offer the use of our facilities to the public community. See our Community and Workforce Education class schedules. Community & Workforce Education classes are classes with a variable cost and are taken for no credit. Check out our offerings in our online course schedule. Did you know Klamath Community College partners with local support agencies to provide services and workforce trainings to our students? Have a question, comment or idea for Community Education, Worksource, or the Small Business Development Center? Let us know! KCC and WorkSource-Klamath have partnered to provide job seeker and employer support services on KCC's campus. Begin your journey toward a more successful future! K-CET offers GED and adult basic education classes, as well as adult ESL classes. To register for a Community Education class online you must be a current KCC student with an active online profile. Offers free, one-on-one counseling to help business owners. 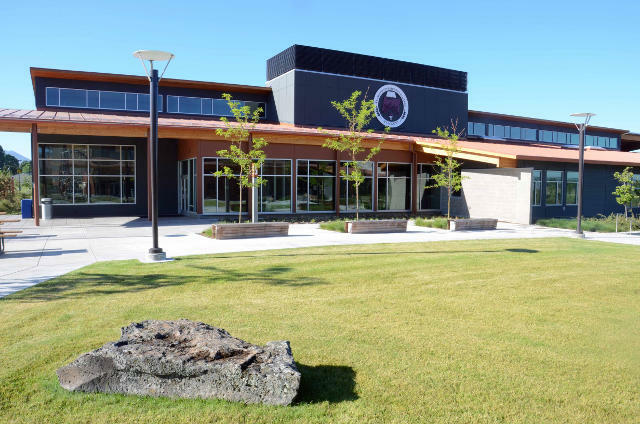 The Klamath Community College Board of Education adopted the goal to strengthen its communication with and connections to the district. Part of our outreach program is to offer the use of our facilities to the public. Come downtown for a parade and fiesta with vendors, dances, and activities for the whole family!